Elim Sound aren't exactly one of the big names in Christian worship music, at least not on the scale of the mega churches anyway. However they have quietly got on with creating music for the Elim branch of the Pentecostal church, drawing talent from across the UK for writing and actual singers. 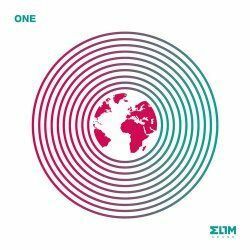 It may sound like a simple task, but actually there are so many different types of Elim church, that it's no mean feat to have songs that can be used in worship in the many different flavours of the church family. On top of this they are reaching out and providing worship through this resource to other denominations and styles of church. It's refreshing therefore that the first song and the album name is about unity. 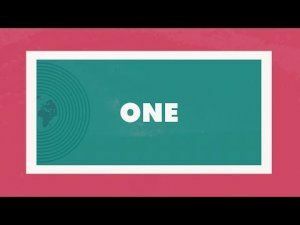 "One" is about coming together and praising together, with the core of our faith in the expressed in the simplest of theological statements echoing the apostles creed. 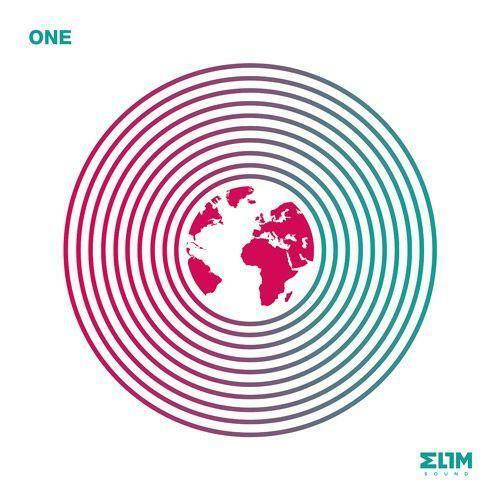 This track is written by Ian Yates, Sam Blake and Joel Pridmore, Ian has headed up Elim Sound for a number of years and had a very successful solo album he released last year, he's also written with Matt Redman (on "No Longer I"). Sam and Joel are two of the other key members of the National Team for Elim Sound and are regular worship leaders at Christian festivals and events across the country. So this song brings a simple thought of unity and the things that unify us as Christians. The same songwriting team then bring us "We Say Yes", again there is nothing controversial here, it's a simple song of trust and dedication to following God. If you weren't sure about the writing team behind this album, then more credibility is added to the talent pool with the addition of the fabulous Chris Eaton with "He Is". Chris is the writer of many popular modern choruses, additionally Sir Cliff Richard has recorded over 20 of Chris Eaton's songs and he had a number 1 with Sir Cliff in the Christmas song "Saviour's Day". When you look at the words of "He Is" they seem simple, but they are so true, and when you add the harmony you have yet another song that could be used week in, week out in churches around the country. There is a bit of a change as the album introduces the first female vocals on "Be Moved" which is written by Fiona Crow and Suzanne Hanna, both worship artists in their own right. Here the album seems to be moving towards the harder elements of life. This is a powerful reminder that we have the command to say to the mountain in our life to be moved through Jesus and our trust and faith in Him. 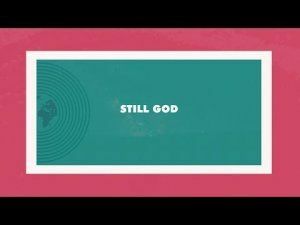 "Still God" is another similar declaration that we have an amazing hope in our God who holds onto us through the storms. This has an instantly familiar chorus that you'll be sure you've heard somewhere before. As these songs progress you get the feeling that these are being written into the lives of people who are really going through the difficult times. There is such hope represented in these songs that is needed in our world today. "When I Am Lost" is about those times when we feel far away from God, when the world has us being suffocated by it's grasp on our lives, and yet God is faithful, holding us, keeping His promises to us. The influences of the familiar Psalm 23 are heard in this song. "Grace Will Lead Us Home" takes some familiar ideas and pays it's own homage to "Amazing Grace". If they are borrowing from the hymns back catalogue then "Great Redeemers Praise" will instantly make you think of an older hymn. This track though has a great upbeat tune, which heads towards pop territory. This song will stay with you long after this track has finished thanks to a very catchy chorus. Talking of hymns, there is definitely competition for Stuart Townend and Keith Getty in the modern hymn-writing arena with the song "Crucified". This one is from Ian Yates and Stephen Gibson and I don't want to say too much about it, but you must seek this out for your church. "Journey Back To Love" see's more input from Chris Eaton this time with the incredibly talented writing and performing of the wonderful Shell Perris. This ballad outlines the the love of the Father waiting patiently for the return of the child after a hard time in their life, but as they realise that He was there all the time, even after they ran away, God was still patiently waiting. It's good to hear Shell for the first time in quite a while and this truly is a beautiful track. The album finishes with "Your Love Never Changes" and "Nothing Else" that continue the thoughts that God is our shelter and protector. This is more beautiful worship and promises that rain down on us. This is a great album that deserves to break out and go further, because it should strike a chord with worshippers from all streams of church. There are different styles and different voices heard on this album. It doesn't stray too far from 'church' music, but there is certainly plenty to be heard and enjoyed on here. Probably the only thing that they are really missing in your established styles is a bit of Gospel, either Southern or traditional Gospel styles. It's great to have a wider talent pool to draw from across the Elim network of churches. People like Helen Yousaf, Suzanne Hanna, Fiona Crow who have the confidence and competence to have their own solo work, but additionally to come in and work as part of a project like this. The addition of Chris Eaton and Shell Perris who are established and successful in their own fields only add to this. If you are a worship leader looking for new songs to sing in your church this Sunday, or you love good British worship music, then this album should be in your collection, and you should already be looking for the chord charts!